Artificial sweeteners have played a major role in the modern diet ever since we discovered ortho-sulfobenzoic acid imide (saccharin) in 1879. This has been especially true in recent decades, as traditional sugar has gained a reputation for having devastating health consequences. Currently, there are six artificial sweeteners approved in the United States: saccharin, aspartame, acesulfame potassium (Ace-K), sucralose, neotame and advantame. Of these, sucralose (sold as Splenda), is the biggest brand and is said to be good for everything from losing weight to helping diabetics stay healthy. If you love sugar but hate the side effects, these sweeteners look to be the perfect dietary additive. But like all things in life, if it sounds too good to be true, it is. The bitter truth is that artificial sweeteners may actually be more dangerous to human health than anticipated, and worse, we have been deceived about them from the beginning. 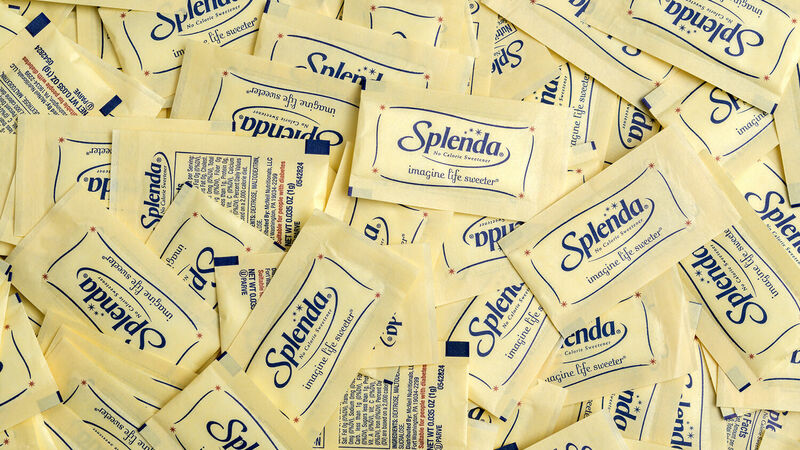 Like most sugar substitutes, Splenda is a synthetic chemical. It was discovered in 1976 by British scientists who were actually seeking to formulate a new pesticide. Manufacturers marketed it as the “safest” of the low-calorie sweetener lineup, a campaign that has helped to convince roughly 138 million Americans to consume this chemical. Splenda is found in about 4,000 food products, and many people are unaware that they are consuming it. For those with a sweet tooth, the idea of eating anything in sight and not gaining weight sounded perfect. But we now know that the sweet taste of sucralose has devastating consequences for the body. Use of this chemical has led to questions of safety, cancer in lab animals, numerous illnesses and weight gain. The European Union’s Scientific Committee on Food, the World Health Organization and the United States Food and Drug Administration agree that over 110 safety studies over a 20-year period confirm the safety of sucralose (Sucralose, fda Final Rule). Despite these approvals, consumer concern remains high about the safety of using this product over the long term. Other artificial sweeteners such as saccharin, cyclamates and aspartame were also previously granted fda approval, only to later be implicated as having carcinogenic, toxic or minor side effects. The fda approved Splenda in 1998 even after some studies showed adverse effects ranging from liver and kidney damage, intense skin reactions, thymus gland issues and immune impairment. These studies were ignored, and with only six short human trials, Splenda was approved for human consumption (New Scientist, 1991). Since then, an analysis of Medline revealed that many independent studies continue to report ongoing health problems with Splenda. The journal Nature revealed artificial sweeteners to be harmful to microbes that help with digestion, in turn creating autoimmune problems ranging from depression and arthritis to the regulation of the immune system. The Canadian Society of Intestinal Research says scientists believe the cause of a global increase of irritable bowel syndrome (ibs), including both ulcerative colitis and Crohn’s disease, may be sucralose. Canada once had one of the lowest rates of ibs in the world; but after it became the first country in the world to approve sucralose in thousands of consumer products in 1991, its citizens now have the highest levels of this syndrome. Sucralose is marketed as safe for diabetics, but a 2013 report in the Journal of Toxicology and Environmental Health stated that ingested Splenda may even destabilize blood sugar and cause obesity. Further analysis shows decreases in red blood cell counts, enlarged or calcified kidneys, brain tumors, leukemia, lymphoma and higher mortality rates. It appears that sucralose is not a biologically inert compound. The fda is content to criticize current studies showing negative outcomes based on animal, rather than human, studies. But it is trying to have it both ways: Animal research leading up to fda approval was considered valid. Why Is Sucralose So Dangerous? “The country’s entire supply [of sucralose] is produced in one well-guarded and famously secretive facility in Alabama, where truckloads of common table sugar are shipped in weekly, to be modified via a complex chemical process involving chlorine and phosgene gas” (Discover Magazine). The finished product becomes a chlorocarbon, a chemical in the family as chlorodane, lindane and ddt, said James Bowen, M.D., a physician, biochemist and survivor of aspartame poisoning. “It is logical to ask why table salt, which also contains chlorine, is safe while Splenda/sucralose is toxic?” he stated. “Because salt isn’t a chlorocarbon. When molecular chemistry binds sodium to chlorine to make salt, carbon isn’t included. Since a chlorocarbon is toxic, it’s important to know how much of it is absorbed into the body. The fda’s Final Rule report states that only 11 to 27 percent of the substance is absorbed by the body, while experts at the Japanese Food Sanitation Council argue that as much as 40 percent of ingested sucralose is absorbed. This is an exceptionally large amount, especially when dealing with a potential human health risk. Eight out of 10 Americans now consume some sort of artificial sweetener, with many believing it will help them lose weight. But epidemiologic data suggest that low-calorie sweeteners act as a trigger to activate the brain’s pleasure pathway, while lacking the mechanism to deactivate it, since the calories never arrive. This results in increased appetite and a variety of metabolic dysfunctions promoting fat storage and weight gain (2010 Yale Journal of Biology and Medicine). Given the evidence, we should assume a “guilty until proven innocent” stance with these Franken-chemicals. Stick with modest amounts of nutritionally complex sweets such as fruits, dates, figs, raisins, coconut sugar or Grade B maple syrup to remain healthy.